It's Ten on Tuesday once again. Let the randomness begin. One. 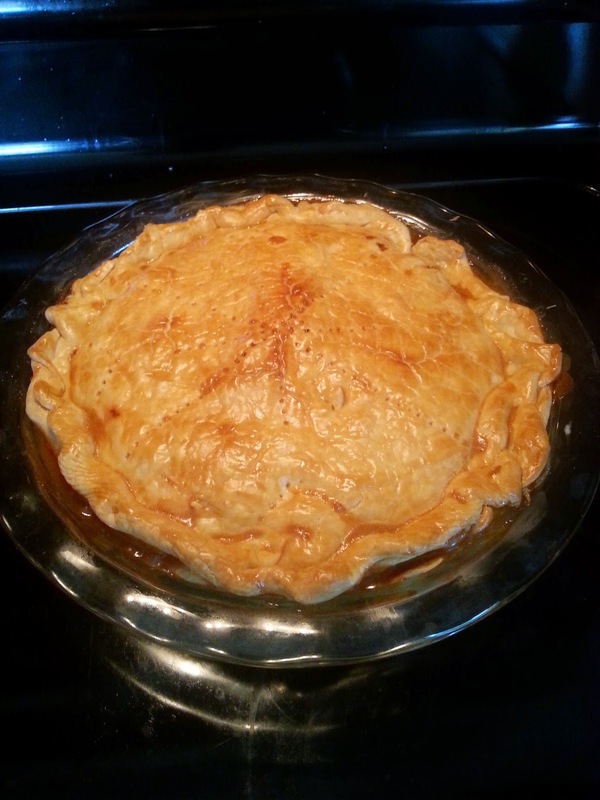 Yesterday was my brother's birthday, and he requested caramel apple pie. I made this recipe. It turned out beautifully. No, it's not gluten-free. Two. Over the weekend I also made some homemade granola, from this recipe. Delish!! And, it's gluten-free! I basically cooked all weekend. Three. I've been nominated for 3 Sunshine Awards! I'm so honored!! Tomorrow will be one giant Sunshine Award post. Four. This happened on Sunday. Five. I'm still following Fitnessista's Summer Shape Up workout plan. Have you checked it out? I love this week's workout! Six. I potted some succulents this weekend to go in my kitchen. I love how they turned out! 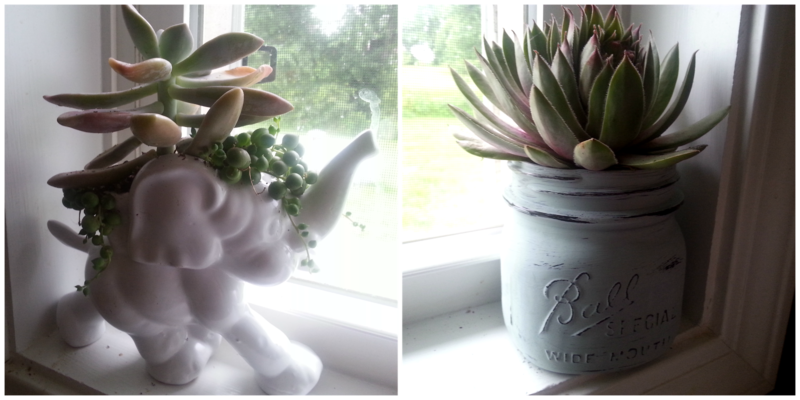 I used string of pearls and ghosty succulents in the elephant, and put a big hen succulent in a Ball jar that I painted. Seven. Tonight I'm going to learn about fermenting veggies from my cousin, and learn how to make my own kombucha. I'm excited! I can't wait to ferment all of the things. There will be a post about this in the future. :-) Do you ferment veggies? Or drink kombucha? Eight. Need a good laugh? 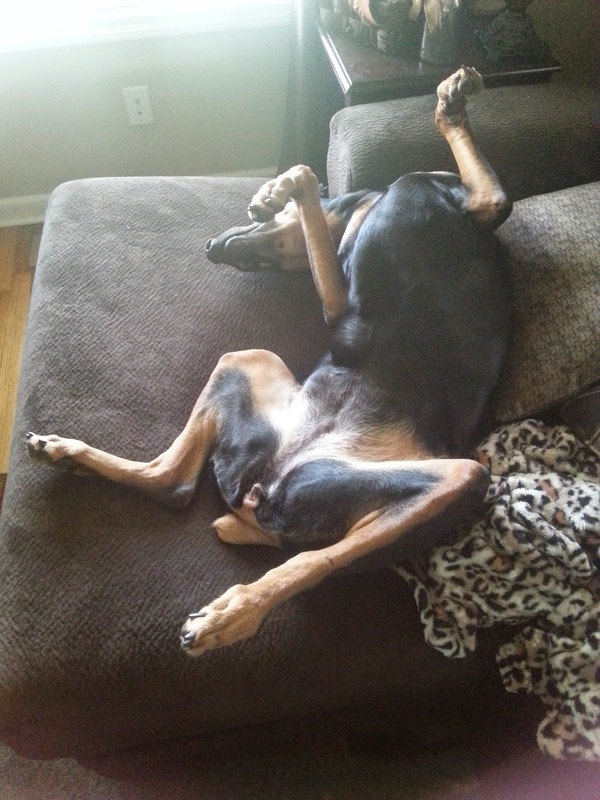 23 Dogs Who Are Too Adorably Stupid For Their Own Good. 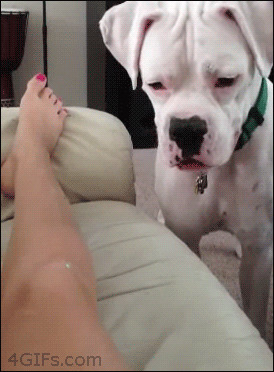 These gifs will definitely make you laugh! Haha! Nine. I love all of the red-white-and-blue themed food I'm seeing all over Blogland and Pinterest. Did you see my Fourth of July Wine Slushies? Ten. 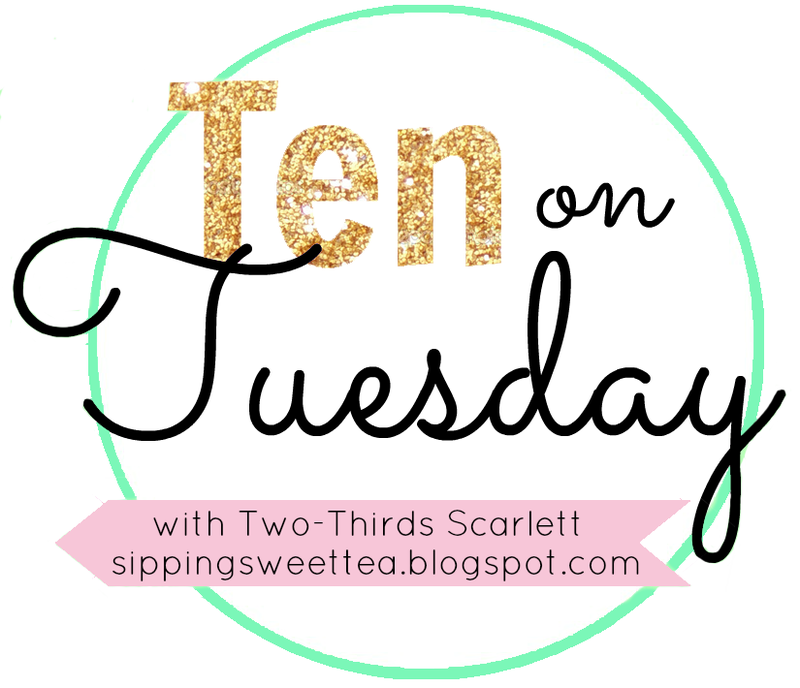 Next week is my one month blogiversary! So, in honor of that, there may or may not be a Crystal Faye gift card giveaway starting on Thursday. ;-) Check back to find out. that apple pie looks so good. i was saving my apple baking til the fall but now i'm kinda tempted..
That apple pie look to die for amazingly delicious!! Can you mail me a slice? I can't wait to read your award post :) I am going to have to google kombucha?! I don't think I have ever heard of it before?! Oh, I love baking and cooking! So much fun! I need to make an apple pie as well! I love succulents! Need to get some more! 1. That pie looks delicious! 2. I love to make homemade granola. 6. That little elephant planter is adorable! The dogs! I love them! Found your blog through Morgan's giveaway! Love it.